Gah! That moment when you realized it’s 5:00 and you have nothing planned for dinner. Nothing. Zilch. Nada. The kids are starting to get a little edgy and you know you need to fill them up fast to avoid dealing with things like meltdowns. 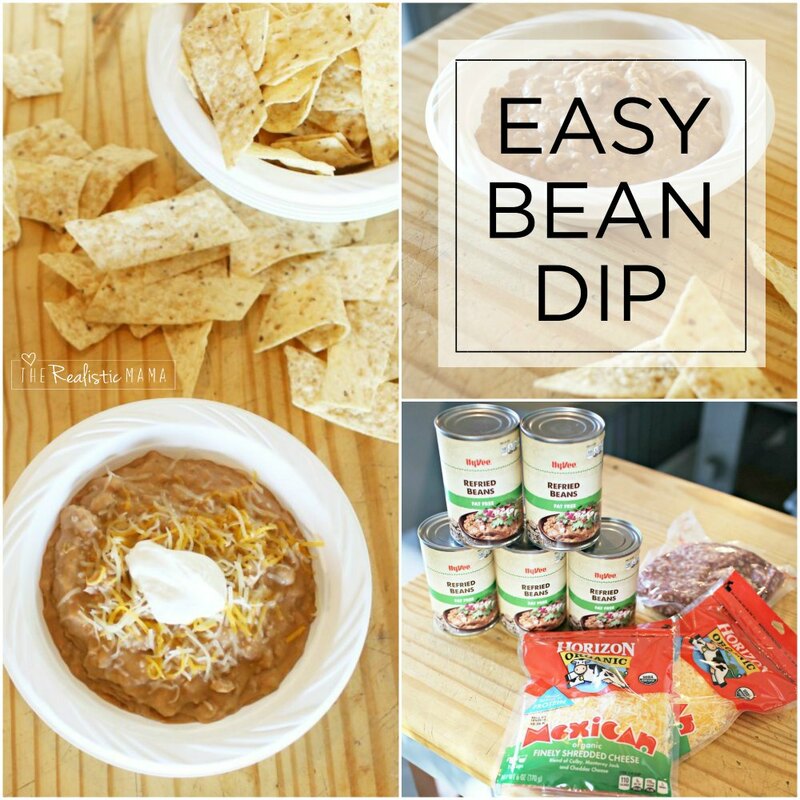 On nights like this, this easy bean dip recipe is one of my favorite go-to dinners. Keep these ingredients on hand so you have them when you need. Tip: While you’re at it, brown up double the meat and freeze the extra half to prep for next time you need dinner in a pinch! 2. Drain the grease, then add in the remaining ingredients. Keep heat on medium and make sure to stir every few minutes. 3. 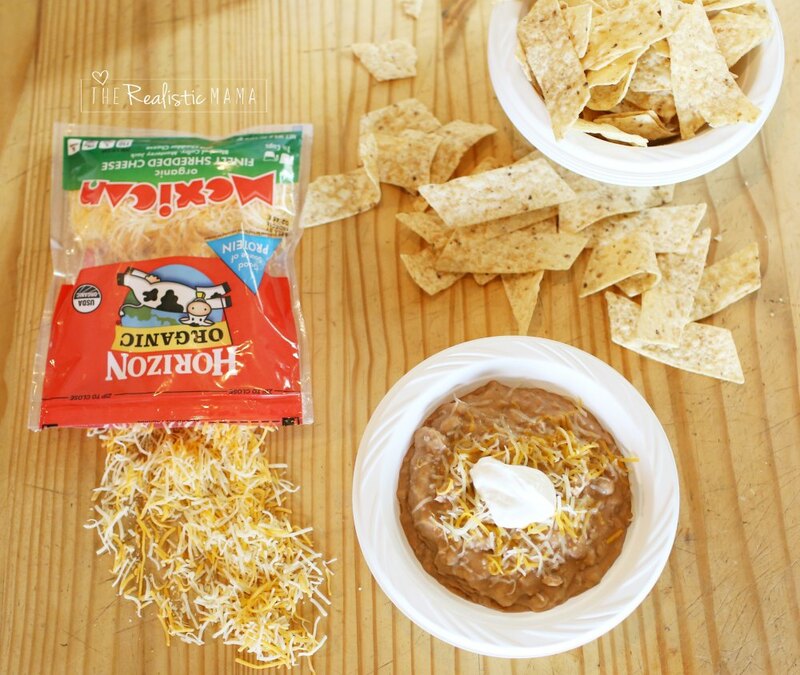 It’s ready as soon as the cheese melts into the beans! 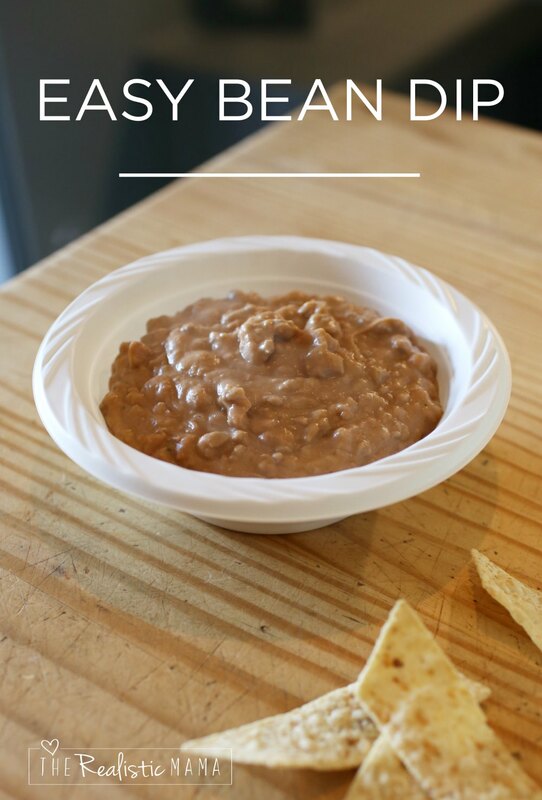 Serve in a bowl with tortilla chips and a veggie on the side — this meal is quick, tasty and loved by my entire family! 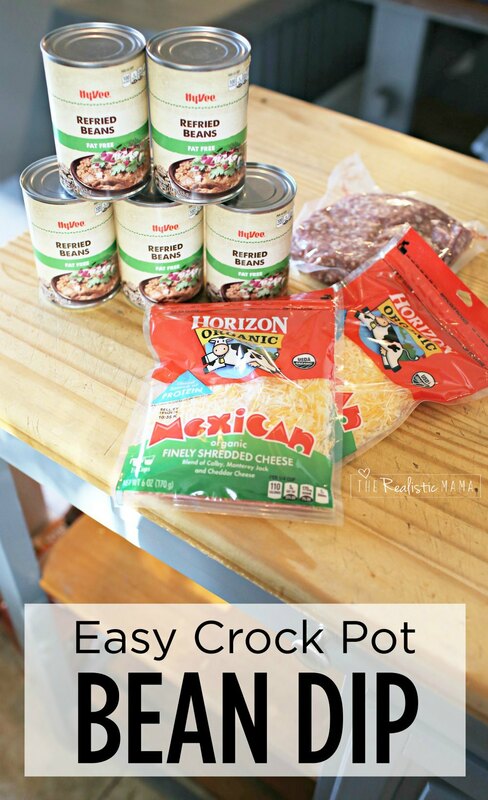 You can also make the same exact recipe in a crock pot and it’s perfect to take with you for a potluck! Don’t forget to top with extra cheese and a dollop of sour cream. Also, leftovers make a great burrito for lunch the following day! We have you covered for the rest of the week too. Simplify the rest of your week with this gorgeous “What’s for Dinner” chart! Print it and a coorespoinding family organizer for free — just click here to download and subscribe.